Kabir News Gaming Review: Skyforce Unite! If you’re been following the mostly gaming-related app reviews here, you’d notice quite a few Kairosoft games make it into reviews. That’s mainly down to the company having three particular formulas for games and those formulas working for every game. This is the case with one of its newer titles Skyforce Unite! 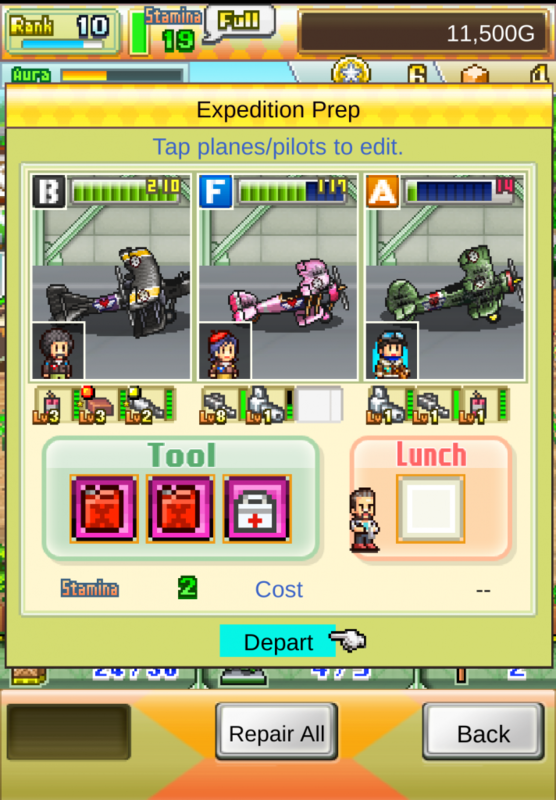 (and iOS) which is topic-genre pairing of airplane and RPG that you could make in Game Dev Story. The background here is that you’re a skilled pilot adventurer who arrives in this new hub town for mercenary pilots. You form a new team to take on missions. 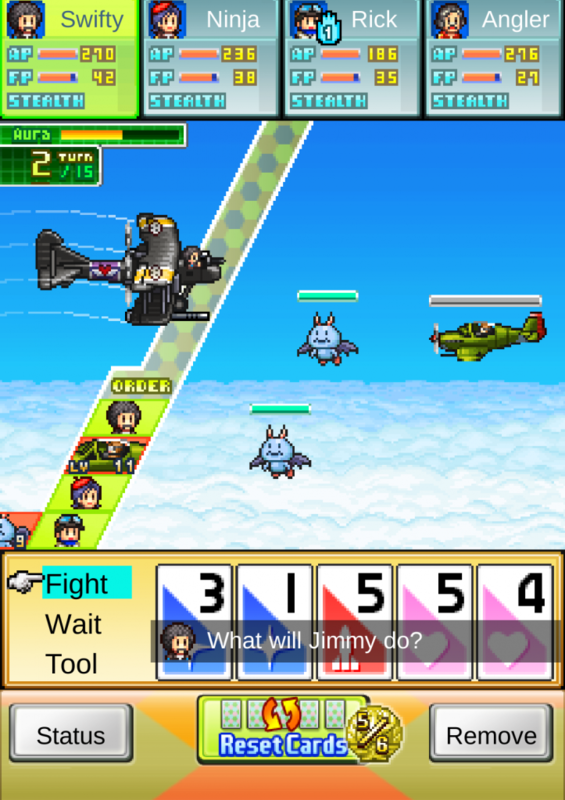 Players will make money to buy new planes, arm their planes, etc by doing these missions and clearing a map as quickly as possible—meaning in a few turns for the bonus. 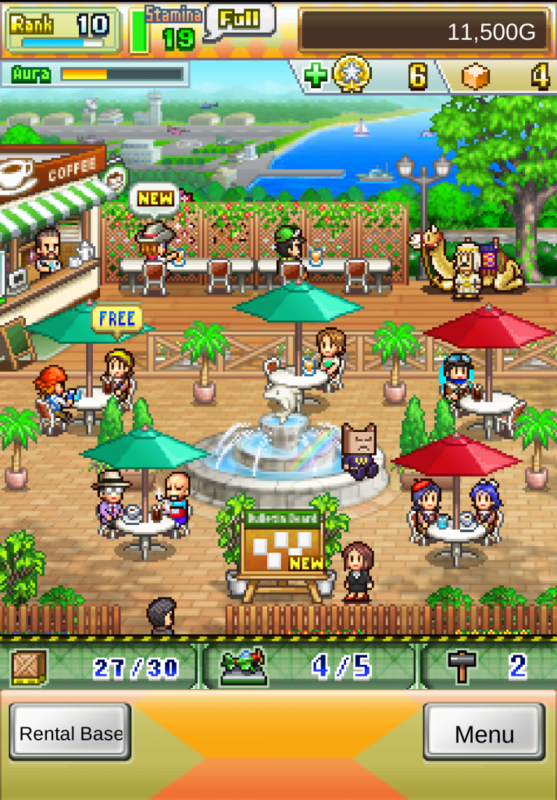 Outside of the main part of the game—exploration of each stage and battling monsters and bosses—you will pick up missions from the job board. Completing certain objectives such as leveling up, finding someone on a map, and so on will unlock new shops and give you access to even rarer, more powerful aircraft. That’s basically it. It’s a story similar to its Ninja Village, Grand Prix Story, and Epic Astro Story titles where the player establishes a stable of adventurers—or drivers in the case of Grand Prix Story—to carry out quests and missions. 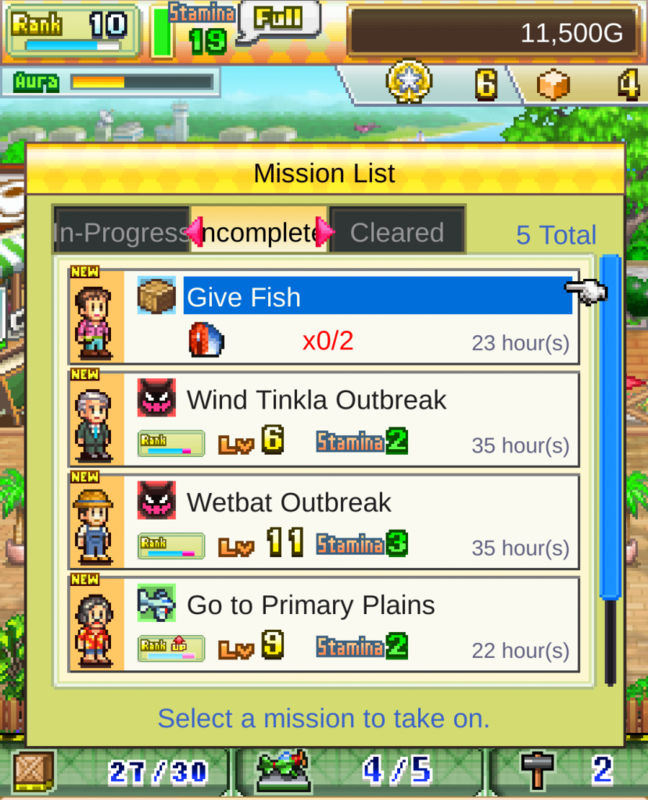 While it gives a very “been there, done that” vibe each time, it works each time because if you played just two Kairosoft games in the past, you know what you’re getting. There is an element of mobile gaming where you have to wait a while for more energy points—used to carry out missions and the like—but that’s mainly if you don’t level within a playing session. You also have the ability to purchase more points for addition stuff in-game or get free points by installing and playing apps up until a certain level.